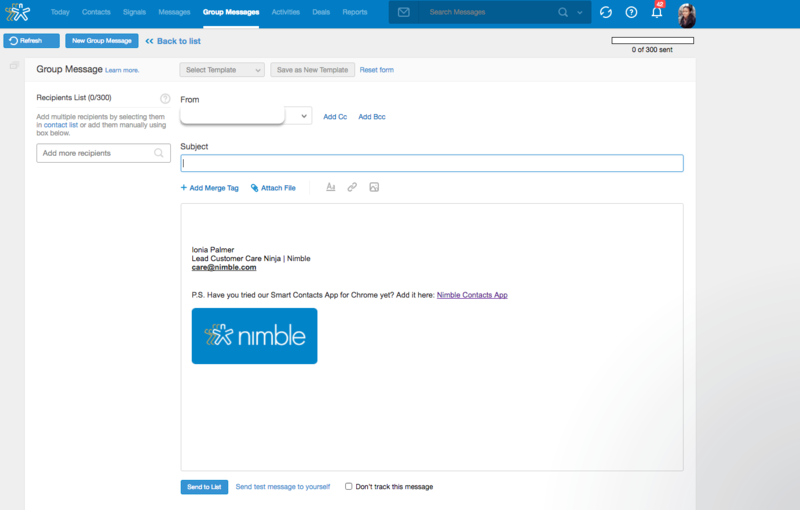 Nimble makes it easy to create email signatures right inside your account settings. Now, you can easily insert an image from your desktop, customize your fonts and include hyperlinks without needing to code in HTML. 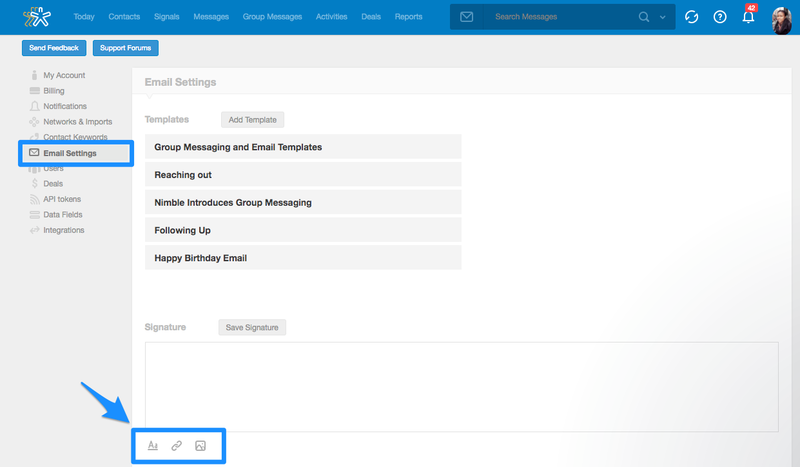 Also, if you already have a signature in Gmail, Outlook, Apple Mail, or another email client, all you'll have to do is copy and paste it into Nimble. Font Editor: Use the font editor to customize your fonts. Make them bold, italic, or underline. You can also change the font size, type, include bullet points and indent. Hyperlink Editor: Use the hyperlink editor to create links to websites and/or emails addresses. Insert An Image: The image icon allows you to upload a logo directly from your desktop. Once the logo has been uploaded, you can choose the size. For the best results, make sure to alter the size of the image prior to uploading. What if I already have a signature in Outlook, Apple Mail, or Gmail? If you have an existing signature from another email, all you have to do is copy and paste into Nimble and you're good to go!